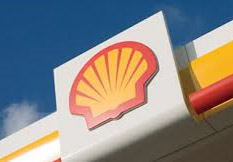 Shell has completed the sale of its 51% shareholding in the Shell Refining Company (Federation of Malaya) Berhad (SRC) in Malaysia, which includes the 125,000 barrel per day refinery in Port Dickson, to Malaysia Hengyuan International Limited (MHIL) for USD 66.3 million. Shell is the leading retail fuels and lubricants provider in Malaysia, which remains an important market for the company. Shell will maintain supply to its retail and commercial customers, and will honour all current commercial arrangements through existing comprehensive supply agreements in the country. This divestment is consistent with Shell’s strategy to concentrate its global downstream operations in areas where it can be most competitive.